In January 2010, veteran Hong Kong crooner Jacky Cheung returned to the Canto-pop world with the jazz-pop album Private Corner, and it was a resounding success with Hong Kong music fans and critics alike. When Cheung announced a mini concert for an exclusive audience to commemorate the release of the album, debate began among music fans and professionals about which classic songs Cheung would give his new jazz sound to. Now, the answer is finally revealed with the release of the Private Corner Mini Concert. The two-disc set includes the entire 85-minute concert, which took place in the performing hall of the Hong Kong Polytechnic University. 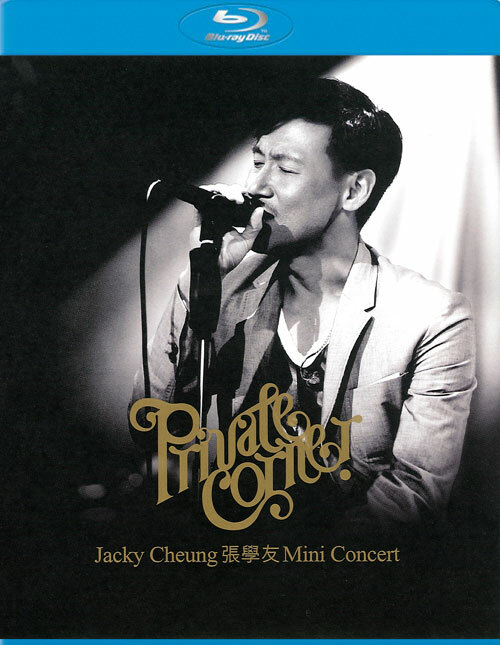 In addition to seven songs from Private Corner, Jacky also performs beloved classics like Blessing, Li Xiang Lan, and a cover of Lover's Tears.